In this pod we discuss esoteric and discombobulating language - Gibberish. 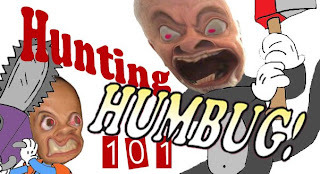 Here's the link to direct download: (34 mins & 16 mb) and you subscribe here: http://huntinghumbug101.podbean.com/feed/or by clicking one of the buttons below. One example we use is from Yes Prime Minister - The Smoke Screen. Richard Dawkins - The Religion of Science - Part 2 - at about 31 minutes into the audio if you want to hear the original. Richard Dawkins - The Science of Religion - Part 2 - at about 11 minutes.